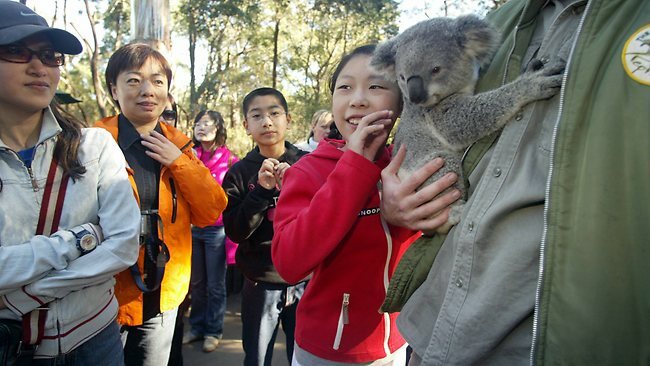 David Scowsill, President and CEO of The World Travel & Tourism Council has urged the Australian Government to extend e-visas to high spending Asian travellers following a disappointing year for Travel and Tourism. This observation aligns with comments made by prominent Australians who have worried for years that we are inadequately prepared to take advantage of the opportunities presented by what Ken Henry describes as the Asian Century. The world is changing before our eyes. Although our region is in the forefront of economic growth, Australia’s economic future remains dependent on a mining industry with an uncertain future. According to Henry, our nation’s future will depend on how well we engage with Asia at a personal level rather than on how much coal and iron ore we dig out of the ground. He identified education and tourism as two sustainable industries worth developing further. With respect to tourism, and taking Scowsill’s observations into account, it would appear that we need to work harder and smarter at attracting Asian tourists to our country. Despite rosy projections for the future, the numbers for last year tell a worrying tale. We are losing out on high-spending Asian visitors. Getting a tourist visa is a more difficult process than it should be. This begs the question: is Australia aware of how far behind the eight ball it is in terms of regional competition for the tourist dollar? Let me illustrate this point with an example. In February this year my Chinese wife flew with a tour group from Chongqing in the hinterland of mainland China to Phuket in Thailand. Her six day holiday in four star hotels cost under $650 Australian dollars. Airfares and meals were included in this price, as was local transport on land and sea. The point is, it is much cheaper for Chinese tourists to enjoy a holiday in Phuket than in Australia. Further, she did not have to apply for a visa beforehand. She was able to apply for it on arrival. Compare this to the tortuous process applicants for Australian visas must endure before they can get an Australian tourist visa. Although the need to screen for potential illegal immigrants is accepted, surely there is a more efficient and user-friendly way of carrying out this responsibility. By the way, the Thai visa was much cheaper than the Australian one. Thailand and other Asian nations do it better than we do. We were reminded of this unpleasant fact when a Chinese friend of ours was offended by our visa process: “I am a rich man. I don’t have to tolerate this unnecessary scrutiny. I don’t need to go to Australia. I will go to Europe instead. In Europe I can visit many countries rather than just one.” And that’s exactly what he did. In China, wealth equals power and status, and like it or not, the reality is that wealthy Chinese expect to be treated with plenty of respect. It’s a Cultural thing. Assuming that these are valid questions, then it would appear that Chinese culture in general, and the Chinese market for tourism in particular are not understood as well as they should be. One might assume that this observation applies to other cultures in East and Southeast Asia as well. How to remedy this situation? Changing the visa application process to make it easier for certain applicants to visit Australia is probably the easy bit. Changing the culture of organisations which market and promote Australian tourism in Asian cultures would be more difficult. They would have to employ experts who have a deep understanding of the internal complexities of these cultures, and be willing to accept advice and training from these professionals. These agencies should mould themselves to the reality of the cultures they are wooing, and be prepared to make any organisational changes that might be necessary for them to carry out their mandate. If they are unable or unwilling to make these changes, if they insist on doing things the way they have always been done, then Australian tourism will not keep pace with the rest of the region. The world is changing. So should we. Published in The Cairns Post. Business Week. March 26, 2014.